Posted By:Unknown | At:9:09 AM Be the first to comment! I realize I tend to be hard on churches in the community, but this just gave me a little hope for the state of our churches. 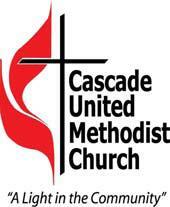 What Cascade United Methodist Church did for Morris Brown is what I feel is at the heart of what our churches can accomplish for our communities. In a move that effectively eliminates Morris Brown College debt to the U.S. Department of Education, the Rev. Dr. Marvin Moss of Cascade United Methodist Church presented a check of $22,000 to the school's president on Sunday. Reiterating the landmark southwest Atlanta church's commitment to outreach and education—and the fact that the church was celebrating “United Methodist Student Sunday”—Moss presented the church to Dr. Stanley Pritchett at the 8 a.m. service. Pritchett confirmed Sunday that the funding means Morris Brown now has the $500,000 due to the federal government by Aug. 24 to settle what once was a multi-million debt. He told the congregants, some of whom are Morris Brown graduates, that Morris Brown plans to continue its 131-year-history of higher education and leadership in the community. "We are truly, truly blessed that you have embraced us in this campaign," Pritchett said to a standing ovation. [The check] helps us to insure that the future is stable for Morris Brown Colored College and all of our HBCU institutions." According to Pastor Moss, the church campaign for Morris Brown began last month after he received a letter from Pritchett announcing the U.S. Department of Education's offer to settle the college’s multi-million dollar debt with an amount of $500,000. On Sunday, July 3, Moss explained the fundraising effort during the 8 a.m. and 11 a.m. services. In the weeks following, several special offerings were taken and members donated money to the cause online.